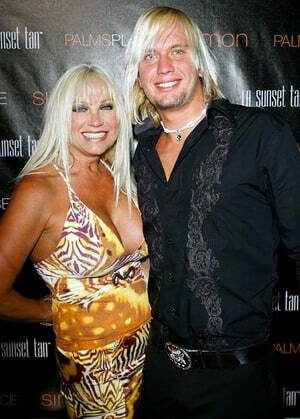 After a bitter divorce with ex-husband of 24 years, WWE star Hulk Hogan, Linda Hogan turned to a younger man to heal her divorce wounds. The two began dating when Linda was 48 and toy-boy boyfriend Charlie Hill was just 19-years-old. They were together for four years and appeared on VH1 reality show Couples Therapy where Charlie proposed. In 2012, Linda and Charlie called off their engagement stating that their lives were going in different directions. In 2014, it was revealed Charlie was suing Linda for $1.5 million for doing too much manual labor in her home.